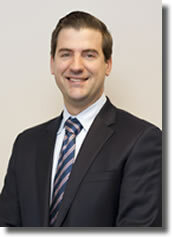 Dr. Shimer is excited to return to the University of Virginia where he received undergraduate and medical degrees. He completed orthopedic residency at the University of Pittsburgh and a spinal surgery fellowship at the Rothman Institute if Philadelphia. His clinical areas of interest include the treatment of complex and revision cervical spine conditions and adult spinal deformity. His basic science research has been in the area of genetic and cellular treatment of degenerative disc disease. Investigation of the cellular and biochemical pathways of intervertebral disc degeneration and developing novel modalities targeted at altering the natural course of degeneration. Specific areas of interest include gene transfer, feasibility of mesenchymal stem cell therapy for the treatment of intervertebral disc degeneration, and an improved understanding of the role that notochordal cells have in degeneration. 2014 – Dr. A. Shimer discusses “When Should You see a Doctor About Low Back Pain”….